The French island of St.Barts is the ultimate luxury Caribbean holiday vacation location. Who amongst us doesn’t dream of escaping winter’s snowy, cold weather and snorkeling under warm, sunny skies in the turquoise blue waters of this idyllic island paradise? 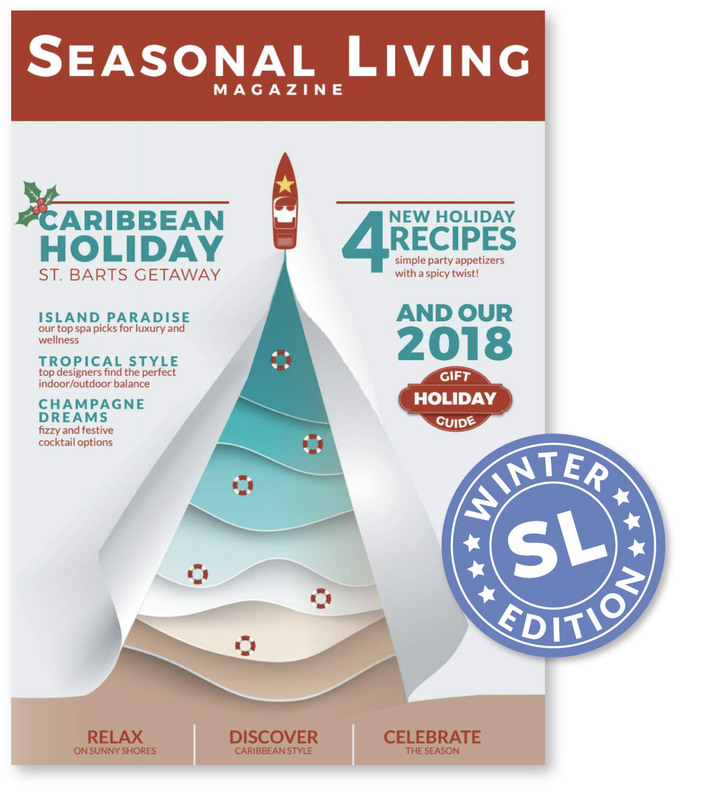 Whether you’re actually planning on going to St.Barts, or just wanting a little bit of inspiration on a gray, drizzly day, our Winter 2018 issue of Seasonal Living Magazine is just the ticket! 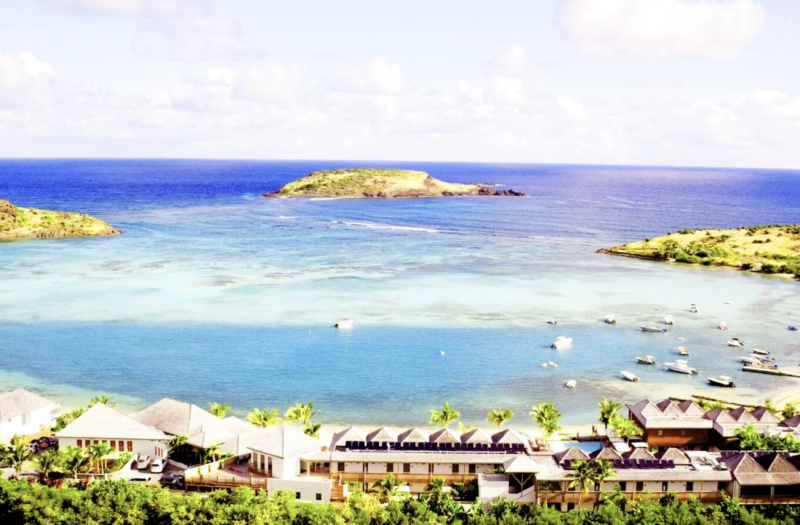 In it, we take you on a true *insiders tour* of St.Barts. 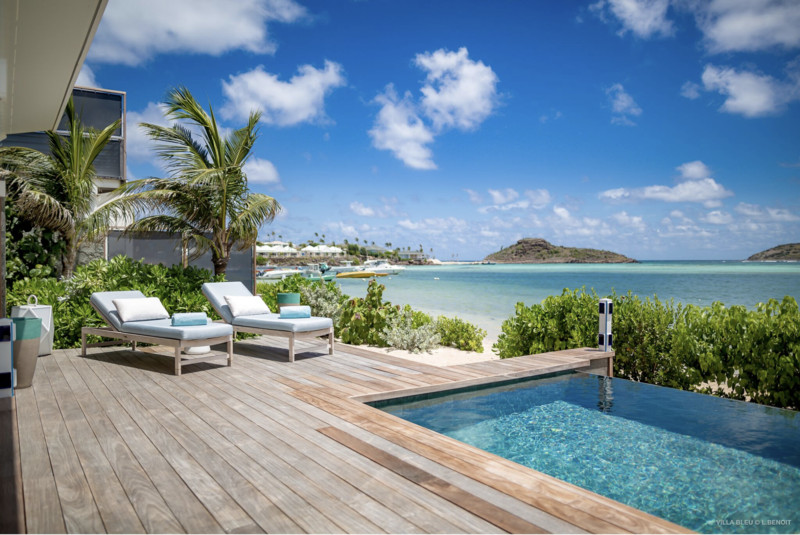 Need to know the newest, most luxurious St. Barts spa for wellness treatments? The top restaurants to go to while there to satisfy your cravings for fresh, seasonal foods? 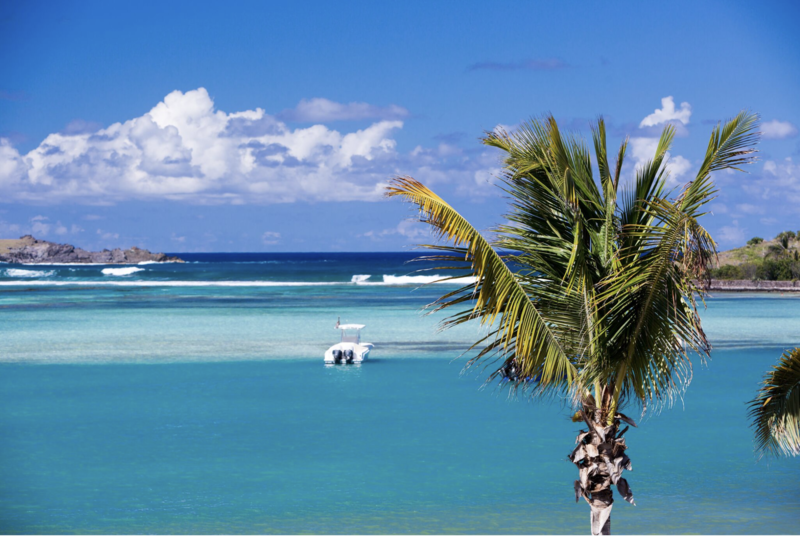 Who to hire for your St. Barts getaway home or boutique resort property? Great cocktail recipes and easy to make seasonal recipes, perfect for St. Barts entertaining? We’ve got you covered! Ready to find out right now? Click here to read the Winter 2018 edition of Seasonal Living Magazine! In this issue, we are also excited to introduce you to guest contributor Lillian Africano, well known to those who appreciate the finest in travel writing – and who read the New York Times. 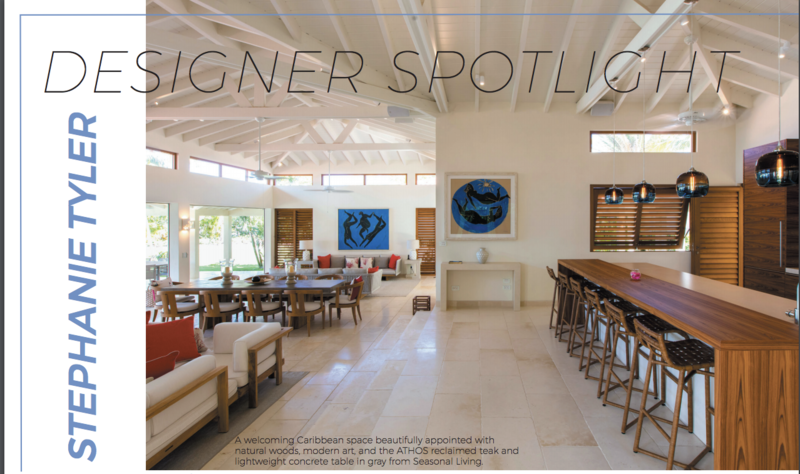 Lillian has visited St. Barts on several occasions and we hope you enjoy her article, where she goes into detail about the history of this famous island, the holiday vacation destination of the world’s wealthiest families who crave the privacy, pristine setting and gracious, elegant simplicity of the St. Barts way of life. We hope you will also be inspired by the spectacularly beautiful design work of the two interior designers we’ve published in this issue. One is well known Caribbean hospitality and luxury residential design team STUDIO IDC out of Miami, Florida, headed by Stephanie Meyer. In this home she and her team completed, our ATHOS lightweight concrete dining table was specified. 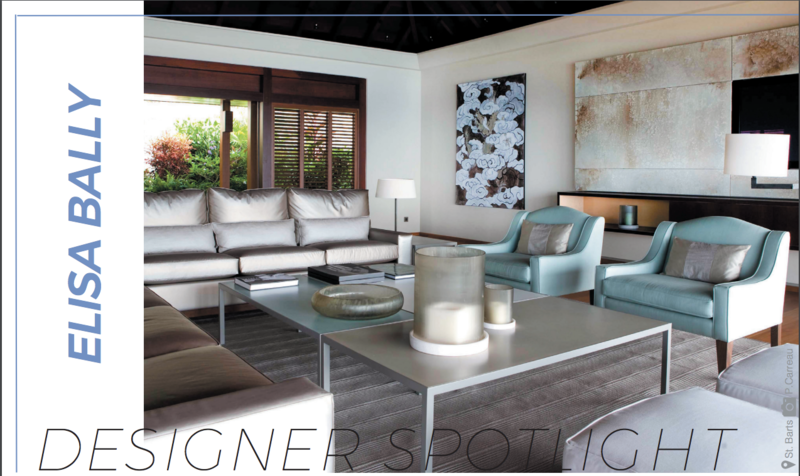 See more of STUDIO IDC’s work in Seasonal Living Magazine, by clicking here. We also invite you to meet luxury interior designer, Elisa Bally. Elisa has lived on St. Barts for the past 10 years and has a beautiful shop there, as well. Our interview with Elisa (conducted via Skype – in French!) can be found by clicking here. We don’t know about you, but we could definitely envision ourselves dropping anchor right here for an extended St. Barts winter Caribbean holiday vacation. 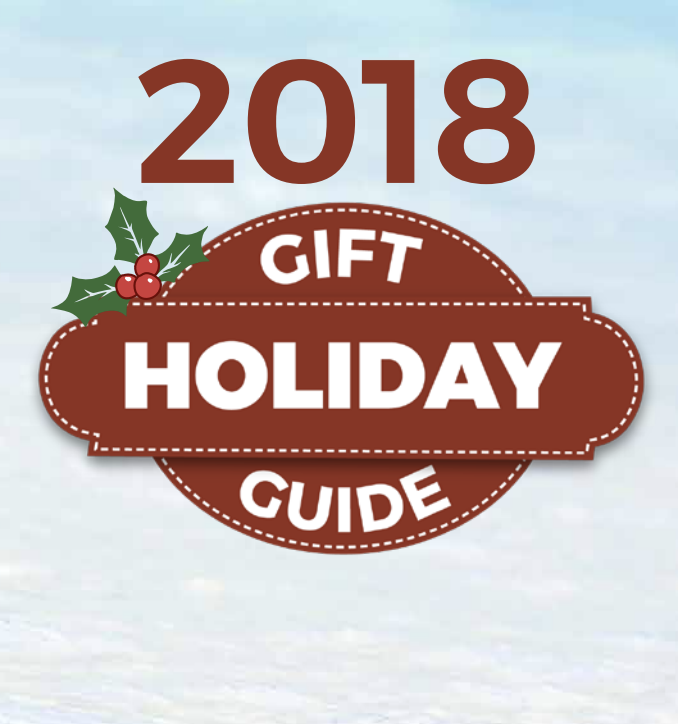 We hope our 2018 Holiday Gift Guide (see our full Gift Guide in the magazine by clicking here!) will help you find the perfect present for a *special family member or friend *, a generous host or hostess or even for simply pampering yourself. Keep scrolling for a sneak peek of what’s in store! See something above from our holiday gift guide that you would like to buy right now to save time? Lastly, we are excited to introduce you in this issue to some *never before seen* pieces from our new indoor/outdoor living collection, ARCHIPELAGO. 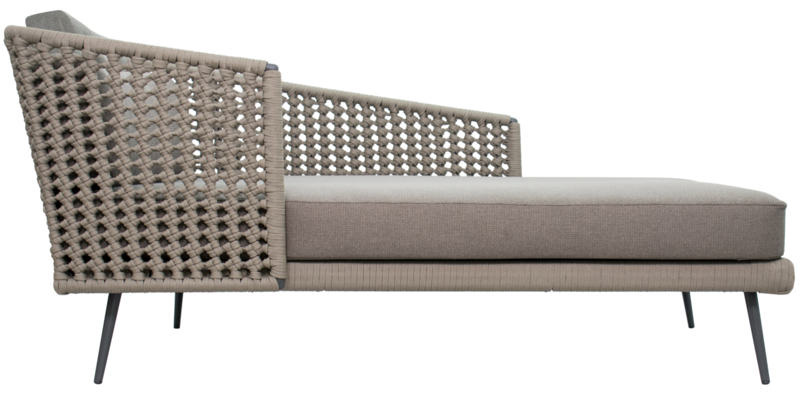 Shown below is our new Antilles *Dream* chaise. See many more pieces in this new collection in our Winter 2018 Holiday Issue by clicking here. 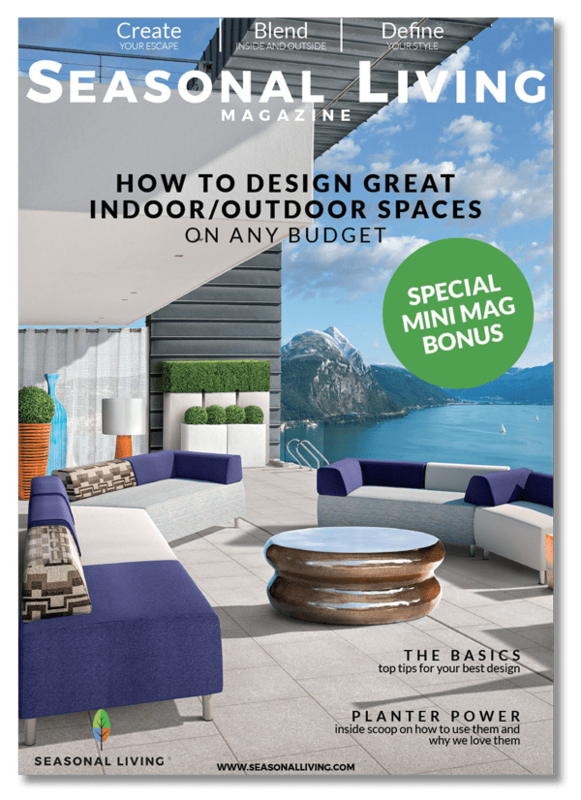 And, if you see one of our indoor outdoor furniture items you would like to purchase, click the link in the magazine to be taken to the retailer/showroom locator on our site! 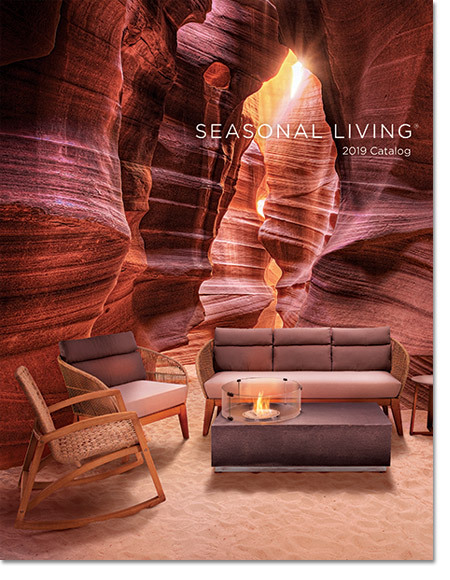 This year, we’ve added over 150 new designs to our collections and are working on our 2019 online catalog now, which will be available shortly for you to download on www.seasonalliving.com. And if you missed our post about the inspiration for our new ARCHIPELAGO indoor outdoor furniture collection, please click here to come back and read it….. while you’re laying on the beach, watching the clouds float by over the crystal clear turquoise water. 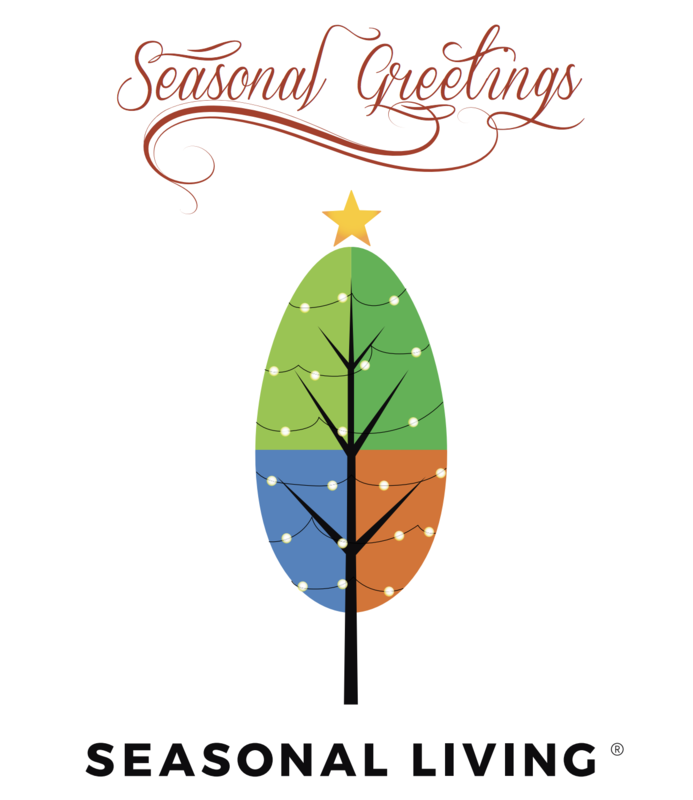 From all of us here at Seasonal Living, we wish you and your families a very Happy Holiday season! We sincerely appreciate your support of our business, whether you’re a customer, a subscriber to our blog, a subscriber to our magazine, or all 3! 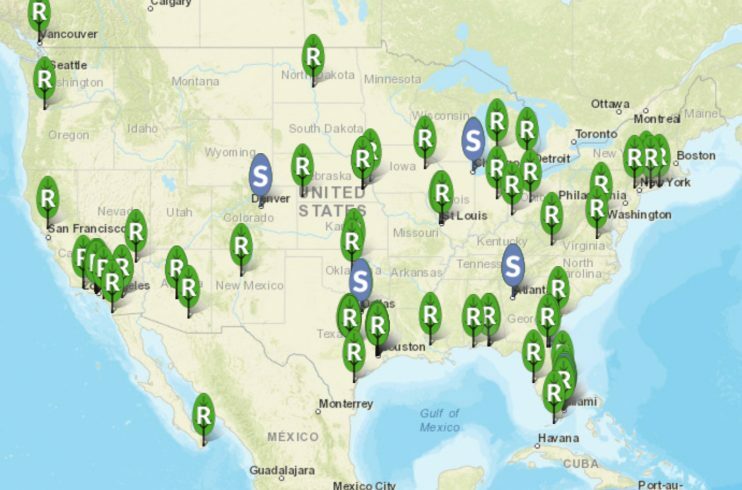 It means the world to us and, as always, we’d love to hear your feedback and suggestions! 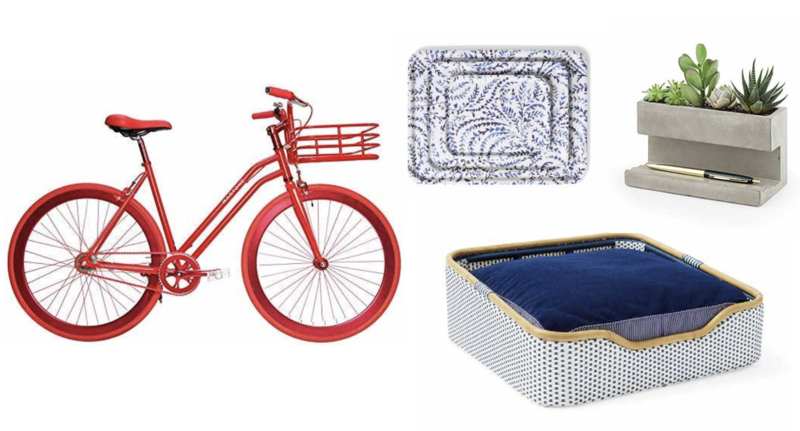 Please email them to us at editor@seasonalliving.com.